There's a new building being constructed on Veterans Boulevard. ucts currently located in Sandy. 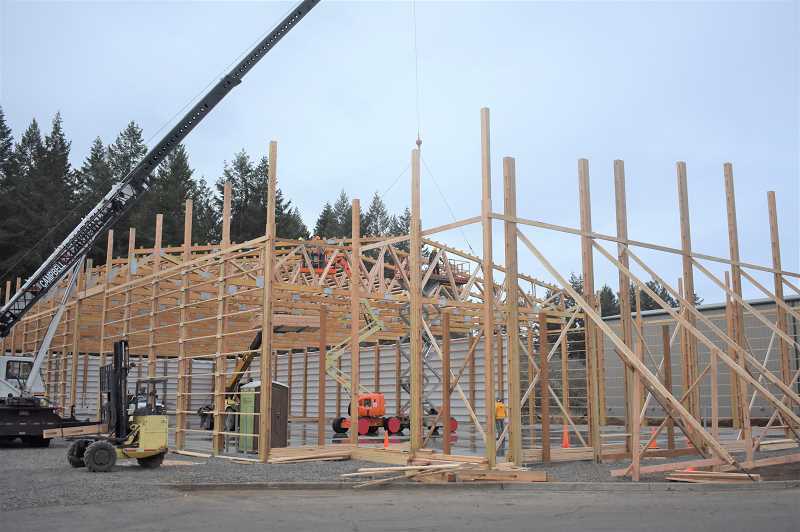 "We're a small family business, which is one of the reasons we like Estacada. It's a homegrown town," said Lori Crampton, noting that the desire to own rather than lease space led them away from their current location. Working Concepts creates several products, including strapless knee pads and kneeling pads, something that Lori's father and company president Richard Crampton found a need for when he was working as a millwright. The products help workers who spend a lot of time on their knees. Construction on the building began several months ago. Working Concepts hopes to relocate to the space in May. 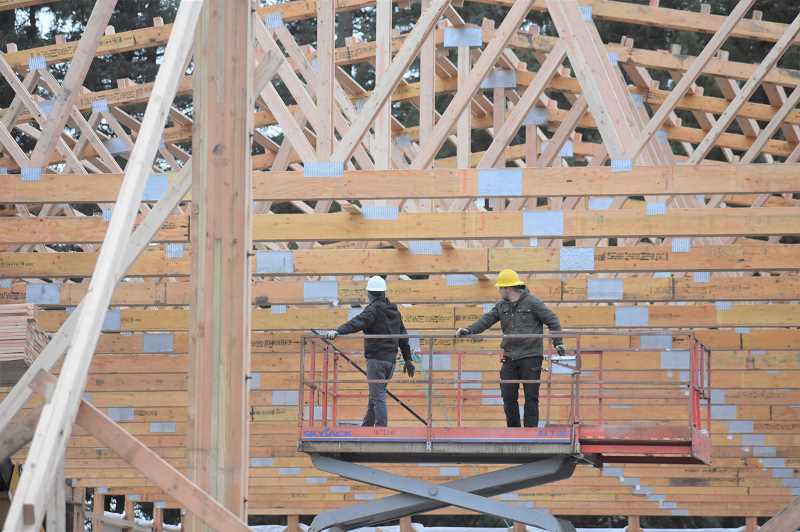 The structure is the largest pole building in the Estacada area. "We've built almost 700 buildings, and this is one of our biggest," said Steve Locke of Locke Buildings. "There's been a lot of attention. People come and watch us. It's really been an attraction." In a pole building. Poles go into the ground to create vertical structural support for the building. The concept is often utilized with horse barns. Locke appreciates that there's a homegrown feel to the building process at Veterans Boulevard. "It's local people building with local materials," he said. "All the lumber is from the Northwest. It was cut down right here, and the builders are right here in the Northwest." He's looking forward to having Working Concepts in Estacada. "They're making something that's good and needed," he said. "It's a family business. It's not like a large corporation." stic about joining the community. "We're excited to be in Estacada and see what Estacada's future is like," she said. "We think they've got a lot of growth ahead, and we're excited to be part of it."